One of the highlights of this outfit is probably the beautiful lariat necklace my mother gave me. My mother actually purchased this from a pearl retailer in the Philippines during her visit there last year. It is well-known that you can get pearls remarkably cheap in the Philippines since pearl farming communities are abundant in many of the islands. I’m normally unimpressed by these gems, but I really love the contrast of the black and white pearls featured in this necklace. The choice of chain also makes the piece very elegant and timeless but also subtle as well. My mother was told by the jeweler that this necklace was actually inspired by BVLGARI, but after some extensive research I couldn’t pinpoint what exact piece of jewelry this necklace was inspired by. I do know that BVLGARI does use utilize a lot of gold halos filled with precious stones in a lot of their jewelry, so perhaps it wasn’t a blatant replica but simply a designer-inspired piece. I personally like the usage of pearls rather than the signature flat-faced gold halos, so although this necklace isn’t necessarily designer it definitely has a luxury feel at the fraction of the price. Don’t get me wrong, though – those are real pearls and real gold. Aside from pearls, I’m normally also very selective when it comes to lariat necklaces. 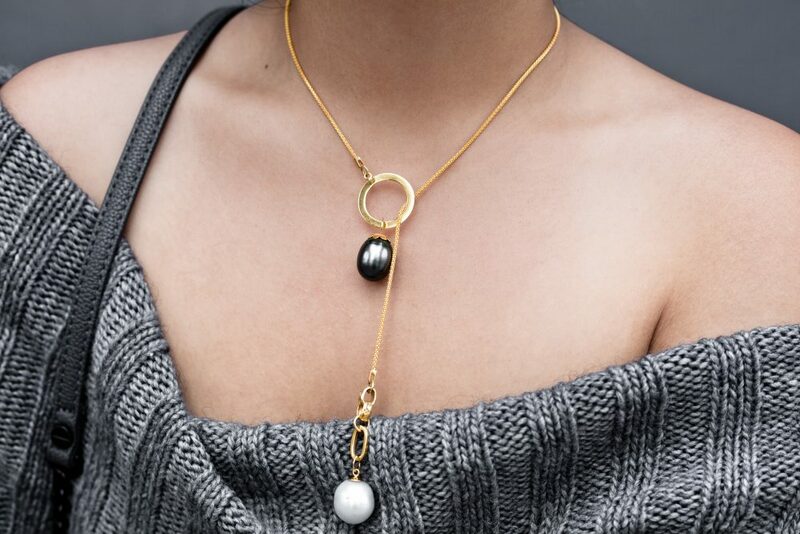 However, this necklace pairs very well with chunky sweaters that show the décolleté. I really want to wear this necklace more often but I don’t feel that I have enough special occasions to wear it comfortably. Perhaps I should really try exploring my wardrobe and assembling more polished and put-together outfits I can wear without needing a special occasion. Liked this outfit? Subscribe below to get more more outfits delivered to your email. 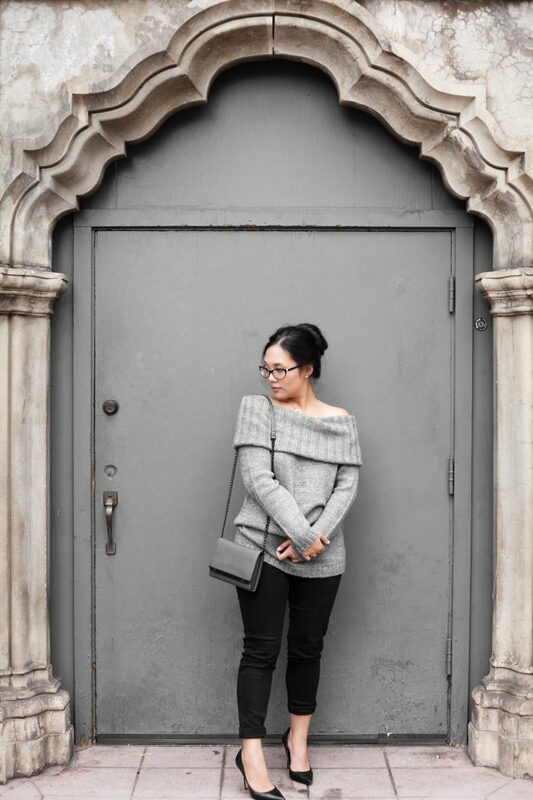 THE BALLER ON A BUDGET is an affordable fashion, beauty and lifestyle blog based in Los Angeles California, written by Aileen Luib. From personal finance to budget-friendly fashion, I help people indulge in the most-coveted trends and products without breaking the bank. Are you thinking of starting a fashion, beauty or lifestyle blog? The Blogger Bible is the only course you will ever need to succeed. Learn how to start and design your blog, write amazing blog posts, take professional photos, market with social media, and create several income streams. The Baller on a Budget is a participant in the Amazon Services LLC Associates Program, an affiliate advertising program designed to provide a means for sites to earn advertising fees by advertising and linking to Amazon.com.